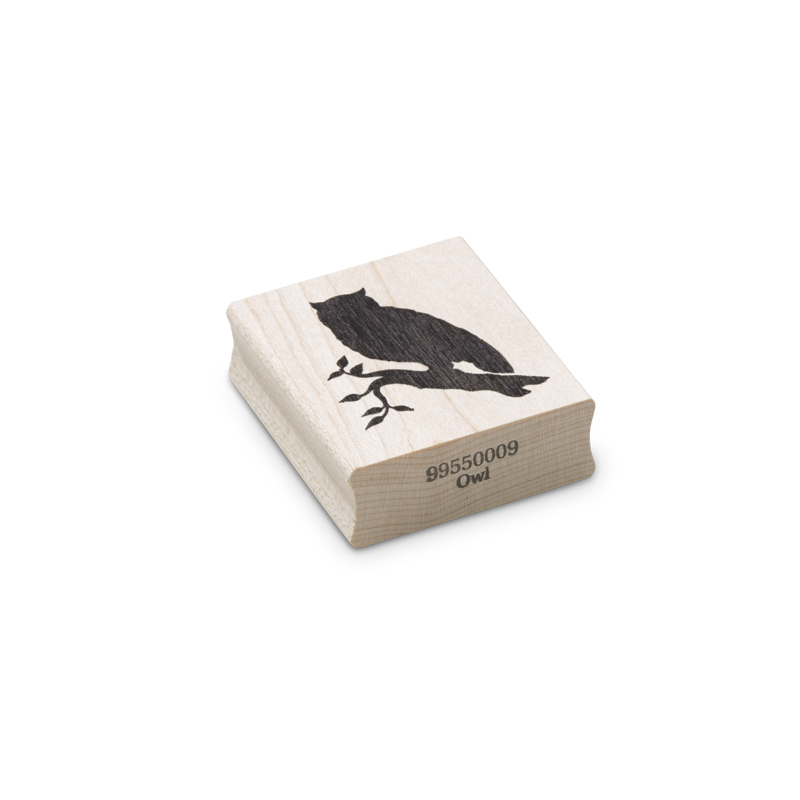 The owl wood block rubber stamp is a strong silhouette image for your stamping work with encaustic art. It works well coming in from the right hand side of an image. Remember too that you can use black marker pens or ink pens to add further silhouette information – like more branches for instance. 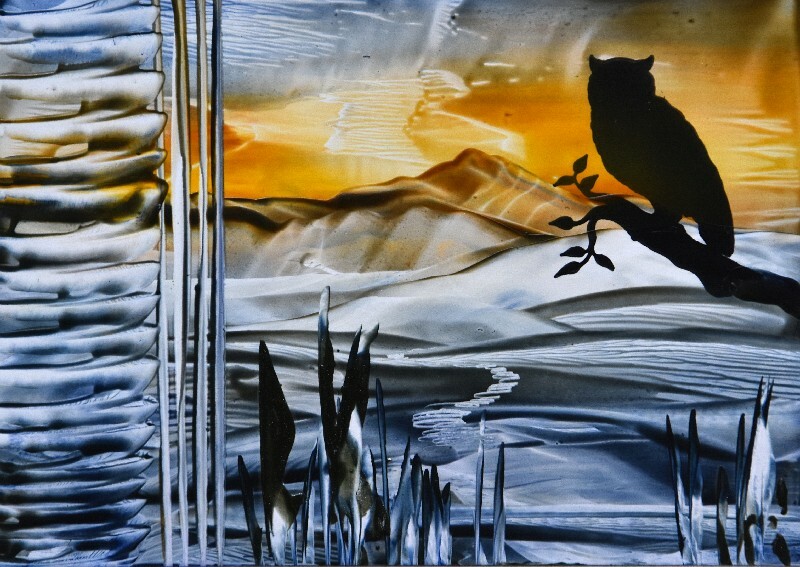 Or use one of the stylus tools to add in extra colour and detail. The round tip for a moon perhaps?